woz taller now 12 years. May 25th no doubt a sunny day, in the cloudy week. but since the morning I felt gloomy. I looking for it to reunite my son so much that sores. before heading to fetch birthday cake I trying complete remnant work concerning my future 2nd child, billing zhu's facebook account, which disabled by facebook cluelessly, the freaky dominant social network more and more likes a giant monster. I then claimed another fb account under id billingzh , and added it to admin of facebook page, billinzh. that morning before my work starts, the internet is dead. buzzed the dorm director who confirmed that fiber optic cable damaged by ongoing refurnish in 3rd dorm of QRRS dorm. waiting awhile I yet can't access vpn so I open my compute stick which has builtin vpn under windows. then I found the mini computer frequently automatically shutdown. later probe found likely usb power insufficiency is the cause. in first frustration I tried to reinstall windows 10 now that a month passed yet it can't get its creator edition upgrade, lest intrusion of malware. then found my downloaded iso image months ago broken, failed to install. likely sinking PRC surveillance intervened my download. for time limit I left rebuilding open and took bus to fetch woz's birthday cake booked online in the early week. I obviously felt failed on bus even didn't figure out why. in the cake store I mandated to show groupon code but my vpn on android phone failed to open shared sms logbook on gdocs and last ten minutes before settled. I tried to tease a young girl in the shop, claiming last 2 years when I fetched cake there was only a female, now 2 boys and 2 girls there so it must be prosperous. the girl don't understand but politely responded. on bus to woz's house, I more or less in peace. out of his elemental school the grandma also there fetching him, but soon left. my son in shabby white shirt and told me he just in performance within 20 kids performed e-piano for celebrating some event. and the weekends also shifted to next day, ie Monday will be Sunday agenda and so on. I just can't in ritual mood. arrived his mom's house, I arranged woz to setup birthday cake and shot for publishment. woz also less elated like last year's birthday with cake. when I asked him his plan for future, he again claimed want to travel, aside higher school exam score. that both failed me. exam score less important to me, an entrepreneur prospect of future my son, either, and travel with his sinful mom just too risky and reckless. and he previously claimed he want less travels after last 2017 lunar spring festival hometown tour. he must lured by his desperate mom who sought escape all times. he didn't eat much birthday cake I bought, which likely bigger and dearer than last year's. I also felt no mood to taste the delicacy, and soon left there. on way to return my dorm, I first thought It was just a case to refrain myself from indulging dwelling with my son weekends. I can suffer and that's all. woz can enjoy light heart everywhere and anytime. in dorm I published event photos and videos and more turned peaceful. then I gradually saw sins and risks in my son's spiteful mom's death journey. 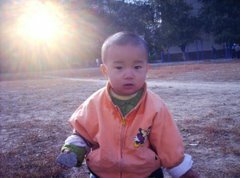 my son shouldn't take the bait to sink, by the weight of his mom's dirty tuitions she gathered in shameless home hours from preying PRC cheap parents. I sms my son lately around 10pm and told him my thoughts upon the undue consumer commodity harmful for a kid, for its his dying mom's entertainment, meaningless and drainful. in the next morning I napped all the morning, gathering courage to cope my loneliness and self-supportive. I decide to live up with my sites, zhone portal, for holy commitment and longest prelude of my 1109 years life of China Empire inherited from my ancestor, from my dad, God in Heaven now, for my son and my offspring still at large in their idle times ample and anxious free. God dad, I pray for strength and luminance inside for glow and growth. I pray holy mercy for the aging and solitary in molding my kingdom and generations. Dad God, I saw so many meanings in comparing Mideast and Eastern Asia, and life's withering and blossoming and their mountain difference. let me put it under lightment. let my mission more prominent, Dad God.